25,000 square feet of possibility. Plasma Table: top of the line Controlled Automation high definition plasma table for precision cutting of steel, stainless steel, and aluminum at up to 3” thick in plates as large as 8'x20'. Our PlasMax is capable of both manual or CAD cuts to precise requirements. 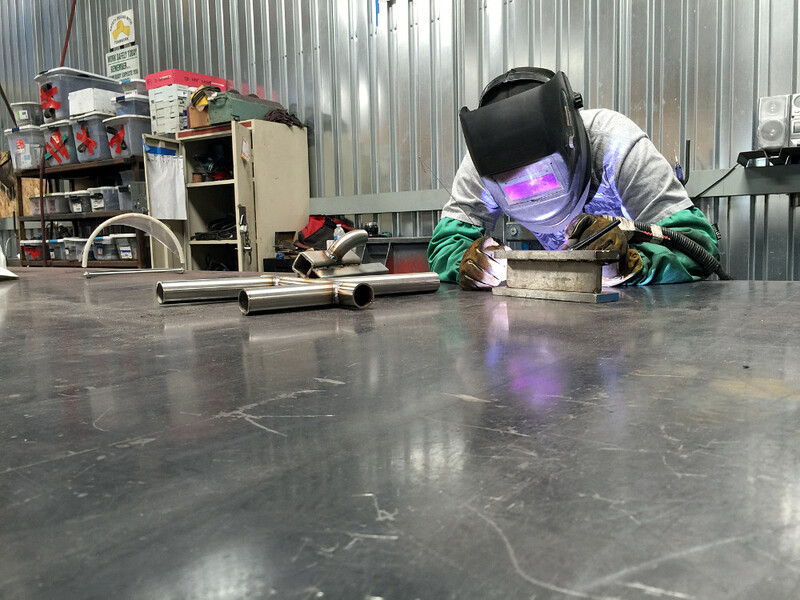 Welding Capabilities: Mig/Tig welding of aluminum, stainless steel, and mild steel ... our welders are trained and certified. Three saws capable of cutting pipes and beams of any shape or thickness from stock up to 60' in length. Delivery: 2 stakebed trucks, 2 flatbeds, and 1 tractor trailer allow us to tailor our delivery platform to your job site. We thrive on jobs that other metal contractors avoid. From simple embeds to the most complex curved stair assemblies and challenging structural steel, we have what it takes to get the job done.